Just found out that If Beale Street Could Talk was nominated for Best Original Score! I am playing all of the brass on the film – Trumpet, French Horn, Flugelhorn, and Piccolo Trumpet. I couldn’t be more proud of this collaboration. I worked with Kristian on his last record and played a number of live shows with him. When I approached him about pursuing this project with yMusic he immediately said yes and the collaboration was born! I hope you enjoy. I couldn’t be more excited to tell you about my upcoming summer plans! First off, Paul Simon is embarking on a US tour this June and donated the tour profits to a wonderful charity called Half Earth. In the middle of the tour he will make a stop in Eau Claire Wisconsin to premiere a brand new collaboration with yMusic! We enlisted some of our very talented composer friends to each write an arrangement of a Paul Simon song for the 7 of us to perform and couldn’t be more excited to bring this music into the world! In addition to the band tour and premiering this Paul Simon/yMusic collaboration, I’ll be playing a few yMusic shows and continuing to work on my first solo record. Hope to see you at a show soon and happy summer! I hope everyone is having a wonderful summer! 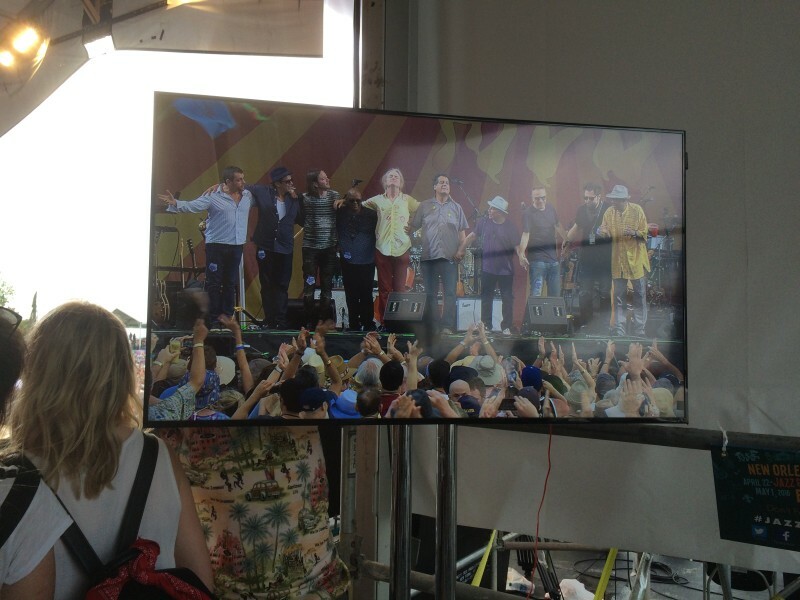 I finished off a very successful Paul Simon North American tour on July 1st. We had a great time and the shows/record were incredibly well received! Following that I played a few concerts with yMusic and then had a few weeks to finally relax. Coming up is the Eaux Claires festival where yMusic will play two sets and we will inevitably end up sitting in with a variety of bands and then a 2 week tour of Australia to finish up our record cycle run with Ben Folds. Look forward to hopefully seeing you along with way! Stay cool. I’m super excited to say that Paul Simon’s new record “Stranger to Stranger” is out today! I worked on the record with Paul extensively and am featured as a soloist on the title track. We’ve been having a great time playing the new songs from the record in our live show and will continue to tour throughout the rest of the year. I hope you enjoy! The North American Tour with Paul Simon is off to such a great start! 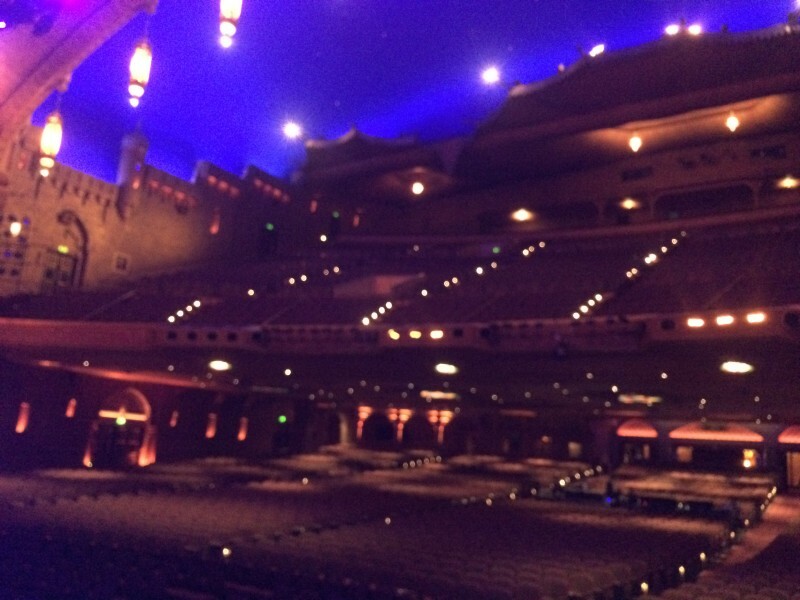 We headlined Jazzfest in New Orleans and The Beale Street Festival to start the tour and now are playing some of the country’s most beautiful theaters. Check out some pictures I’ve been taking! 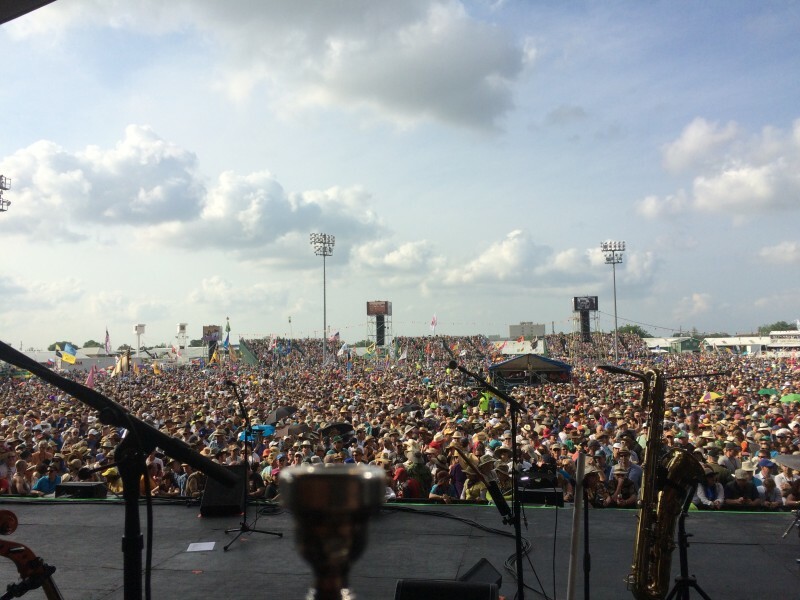 Taking a bow at Jazzfest after our first show of tour! I’m having an extremely busy and exciting 2016 thus far and it’s just beginning! In January, yMusic recorded a brand new record that we are very excited about then in March we went out on a super fun North American tour with Jose Gonzalez. We were both his support act and his band so we got to play some exciting new repertoire (from the aforementioned new record) and then some beautiful arrangements of Jose’s songs with him. Meeting his fans was really thrilling and we hope to connect with them again down the road at future yMusic concerts. Next up is a short tour with yMusic/Ben Folds in support of last year’s record “So There” (that I co-produced/arranged) followed by a 9 week tour of North America with Paul Simon. I’ve been in Paul’s band for a few years now and am so excited to embark on this big run of shows. Over the past few years I have worked on Paul’s new record with him rather extensively and I’m really excited that it’s going to be released this Spring. I was lucky enough to play a solo on the title track and am so thrilled to have the opportunity to play these new songs (and of course tons of older songs) live! Really looking forward to an exciting 2016! There is going to be a very exciting Paul Simon tour this spring/summer, yMusic is making our Carnegie Hall debut premiering new pieces from Chris Thile and Caroline Shaw, yMusic is also playing shows with Jose Gonzalez, Ben Folds, and recording a new record of music by Son Lux. Also, I am planning on releasing an album of original pieces for trumpet this summer! Stay tuned for tour dates and release plans! It has been such a busy and exciting year! Lots of shows and touring but also a lot of fun projects in NYC with yMusic and as a soloist/recording artist. Highlights have included two really fun tours with Paul Simon and Sting to start the year, a lot of shows with Ben Folds and yMusic in support of our record “So There” that I co-produced/arranged, solo performances with The Tallest Man on Earth, Belle and Sebastien, Gabriel Kahane, Jesse Harris, and a lot of new classical music for yMusic! To end the year yMusic will be doing performances with Bill T. Jones and Diane McIntyre from December 9-12 and then playing at Zankel Hall with The Tallest Man on Earth to finish off the season. I would like to thank Josh Clancy for designing this website for me! I’ll be updating this section with news about different projects, recordings, and tours as time goes on.